This resin “V” series soccer trophy is perfect for soccer players of all ages. Featuring a female soccer player about to kick a soccer ball in front of a star-adorned letter “V”, this trophy represents action and victory! 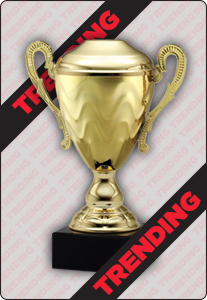 Choose this trophy for an outstanding soccer team that deserves to be celebrated!